Looking for a Door Closer In San Diego? Then you have come to the right place! 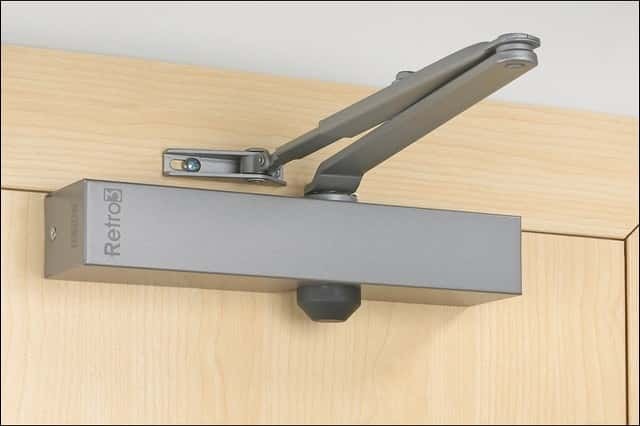 We have a large variety of functional and uniquely designed Door Closers made to suit your door closing needs. Whether it be an Automatic Door Closer you are looking for or a Hydraulic Door Closer that takes your fancy, at 7 Day Locksmith we provide a quality installation service. This is so much easier than trying to install a Door Closer yourself. If you want to do it yourself it would require specific tools for the job. And if you are trying to install a Hydraulic Door Closer, beware. Apart from the above-mentioned equipment you will also need a spring, fluid, a sealed tube and the door closer equipment. This is no DIY job, but rather one for the professionals—Locksmith San Diego. To fulfil health and safety laws, Door Closers are essential to your business. Their protection against fires alone is a very desirable quality. If you have ever wandered about thinking that you are forgetting something, let it at least not be that you have left the door open! The Automatic Door Closer does what it claims, it functions mechanically to automatically close the door after you have opened it. “But I want one that automatically opens my doors too!”—You say. Don’t worry, there are Door Closer Locks that do that too. In fact there are many different ways to operate the system remotely, let’s have a look at how it works. 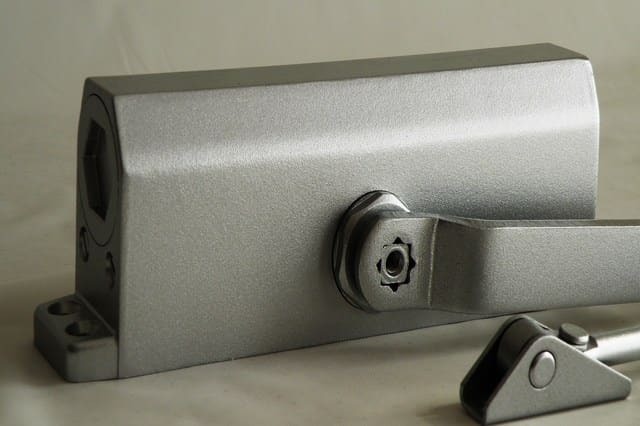 These Door Closer Locks will be perfect for your business, you will hardly notice they are there as you go about your daily routine. They are compact, discrete, energy saving, security providing, small and mighty. We will attach the Automatic Door Closer for you after you have chosen from a list of criteria. Because the closer comes with so many options it is always best to consult our team of Locksmiths. Some criteria include how resistant you would like the door to be. This affects the amount of opening force you would like to use when using the door. This ranges dramatically between use in an office block where workers have the ability to push and pull with relative ease, or use in a hospital with disabled and infirm patients. The rate of the door closing should also be consider in this case as you would need time to get the slower more disabled patients through the door, or children for that matter. Durability is a valid option to consider, depending on the flow of traffic through that area of the building you may need a higher quality door closer to deal with the constant use. Not to mention the anti-ligature and anti-vandalism factor. The aesthetics can mainly be adapted to suit you, and the hardware can be fitted on any left or right-handed door on the inside or out, concealed in the frame, concealed in the floor or even concealed in the door! The Hydraulic Door Closer is a beautiful machine. Whereas its friend the Automatic Door Closer, which apart from being mounted on the door has an option of being integrated and “invisible”, runs on arms and spring action. The Hydraulic Door Closer uses a combination of a spring inside a sealed tube and closers which use a lightweight oil to slow the spring down, a bit like a shock absorber. Once this is in place, it will not slam the door but rather pull it closed. Insuring that the door is closed is the best way to improve your business’ energy efficiency, especially in the accidental case of a fire. The hydraulic action is different from a pneumatic action which is typically seen in storm door closers as that method uses air and springs to secure the door instead of fluid. 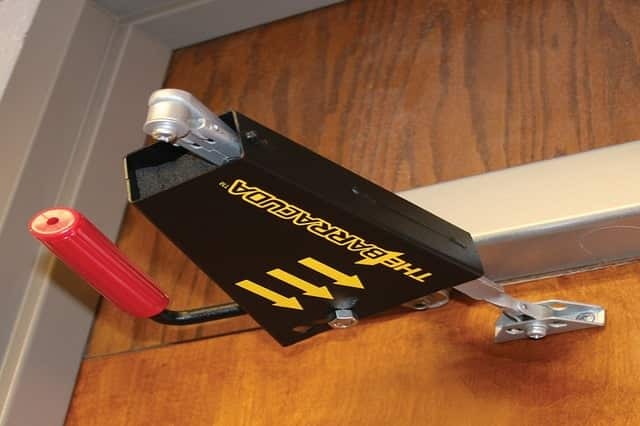 Although our door closers have locks to keep the closer in and open stance while you are transporting goods or moving furniture etc, be careful not to leave the door open longer than necessary or the benefits of the Door Closer will be cancelled out. Other ways of locking the door involve a Touch ’n’ Hold button so you have greater ease of control. If you would prefer not to lock the closer, have a look at automatic door closers that have a motion detector or proximity detector which has a hands-free opening but a safe closure when nobody is needing the door open. As an experienced, professional Locksmith company, we pride ourselves in serving all your company’s security needs, whether you need a Door Closer or a Window Lock, a Key Fob System or just a new key cut. We have around 70 distributed Locksmith services in San Diego alone, and we are constantly expanding, meaning we are never far away from where you need us to be. We also have hundreds of locations in Orange County and Los Angeles if your business spreads to those areas. We will be happy to hear from you and your company. Give us a ring or visit us and we will take the hassle out of security as we will do the job for you. You can request our services 24 hours of the day and every day of the week including weekends, as our name shows we are a 7 Day a week Locksmith. Whether you need an Automatic or Hydraulic door closer to prevent fire and smoke from spreading throughout your beloved company building, or you just need some help in maintaining an average temperature in the offices, we are ready to install your Closer just as soon as you need us to be. Because you and your company are in high demand, we are sure you will appreciate our adaptability of schedule and economic pricing of our quality services.